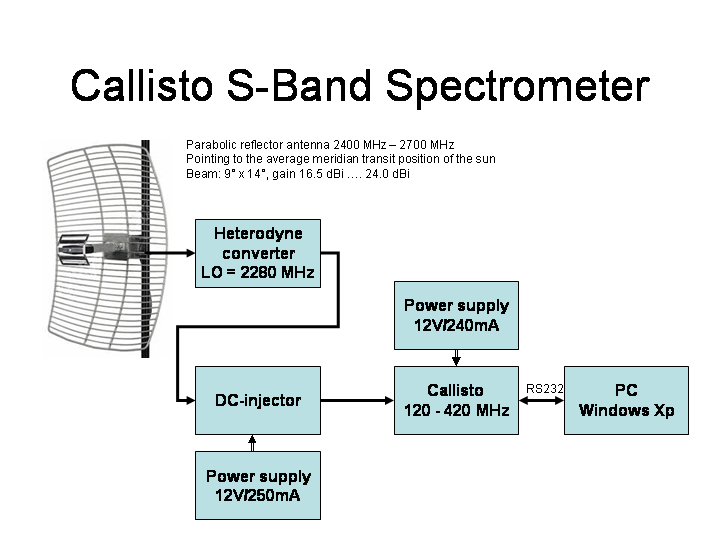 s11 over the whole frequency range of Callisto is always < 10dB. Philips specifications guarantees 8dB. So this instrument is o.k. in terms of input reflection. 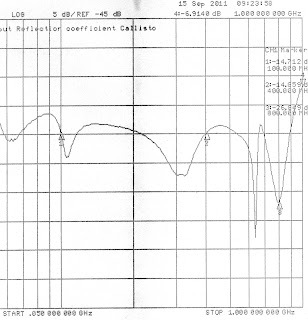 Callisto is a double heterodyne receiver with two IF, first at 37.7 MHz and 2nd at 10.7 MHz. RF- and IF-gain are controlled by a PWM-signal via ATmega16. 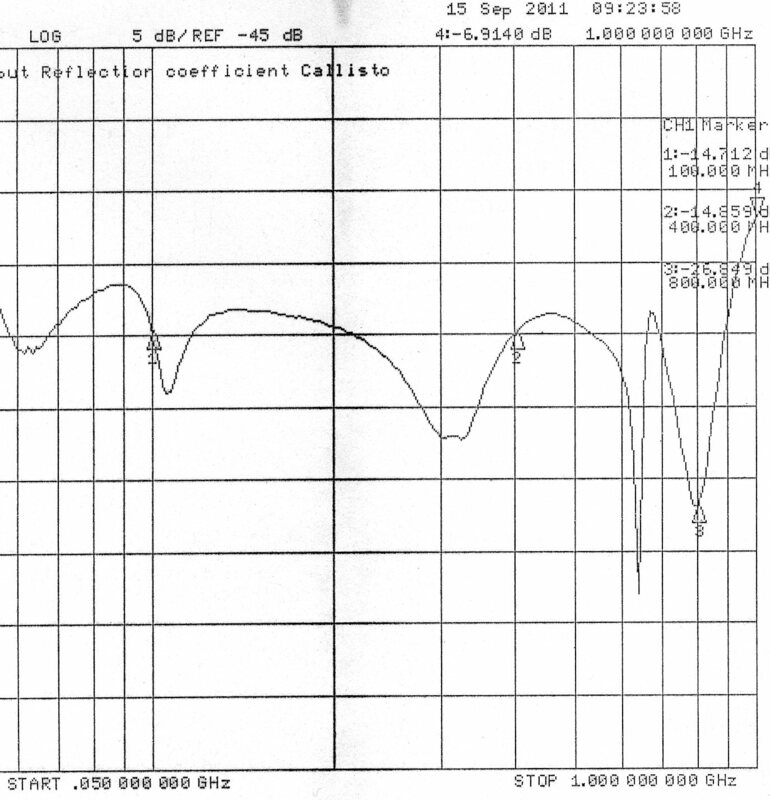 Detector is a logarithmic AD8307. Tuner is Philips CD1316x, where x denotes to different versions. Callisto is connected via RS232 (115 kbit 8N1) to a standard PC running on Windows 98, 2000, XP or 7. Third party software for Linux can be found on my instrument website.